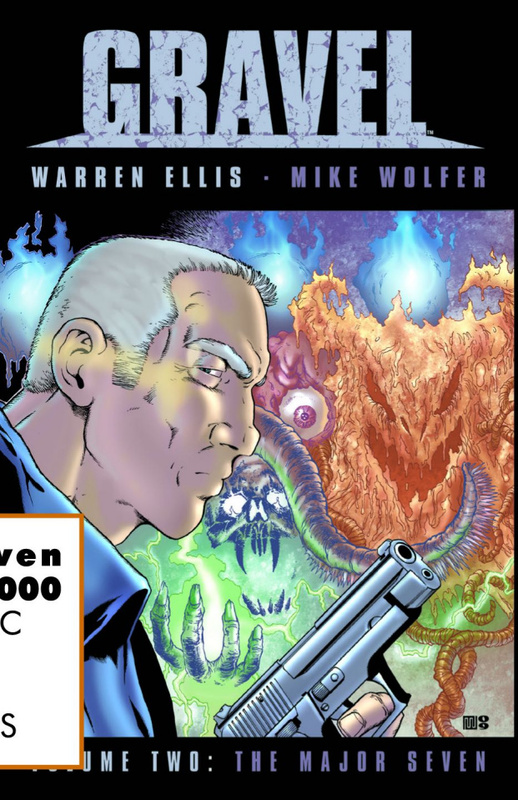 This second color volume of Warren Ellis' and Mike Wolfer's on-going adventures of Combat Magician William Gravel is now available, collecting issues 8 through 14 of the series. After carving a bloody path through his fellow members of the Minor Seven, the last thing Sergeant Major William Gravel expected was to be welcomed with open arms into a much more prestigious ensemble: The Major Seven. But enlistment as the newest recruit among the Master Magicians of England comes with a price, and a penance. Before Gravel can fully gain acceptance within their ranks, the Major Seven have two tasks for him. The first, to reform the Minor Seven, whom he personally crushed with his own hands. The second, to uncover the murderer within the Major Seven who killed one of their own, the woman whose place Gravel will fill if he completes his inaugural assignments. Trouble is, the six remaining members of the Major Seven are just like the Minor Seven, a pack of bloody liars. And before he's done, the seasoned Combat Magician will make it very clear to the overseers of Britain's occult hierarchy that a penance, and a price, is not only his burden to endure. This second collection features and all-new cover by Mike Wolfer and is also available as a Hardcover edition with an exclusive cover by series artist Mike Wolfer that is limited to just 2000 copies.